Want to time-shift or record your HD content to your HTPC without DRM? 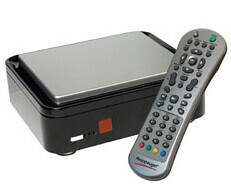 In the market for one of those awesome Hauppauge HD-PVR 1212 devices (read my first impressions on the device here) that let you record any content (HD, SD, digital etc) from your cablebox, satellite box or any other device with a component cable output? If so, Amazon (affiliate) has the best deal I've seen on these so far with the HD-PVR for $209.99 with free shipping! The next best price is $230 with shipping from NewEgg. ShowAnalyzer has commercial detection working (in beta) for the HD-PVR recordings and Comskip, VideoReDo and BeyondTV aren't too far away from HD-PVR support. My Hauppauge HD-PVR made the Olympics a pleasure to watch!! !